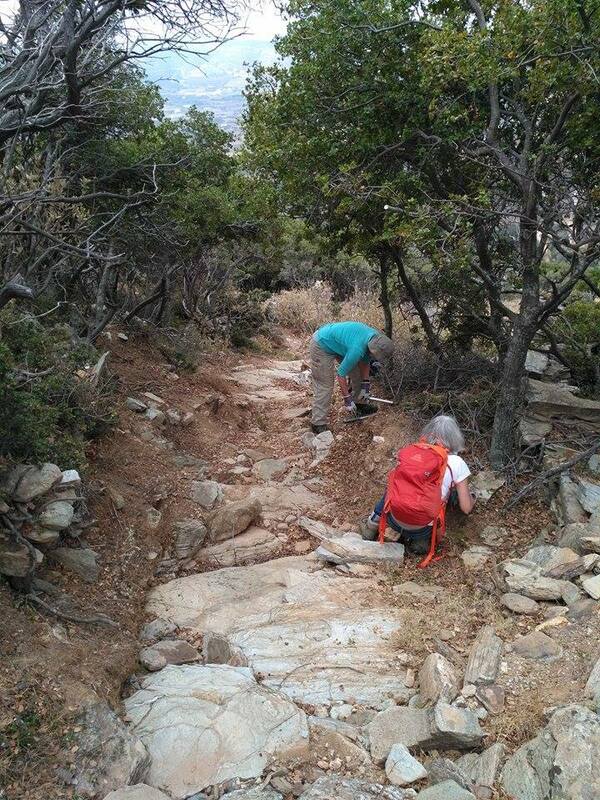 Day 2 of this autumn’s Dutch volunteers visit was dedicated to the improvement of the section of Route 14 between Gavrio and Ano Gavrio. 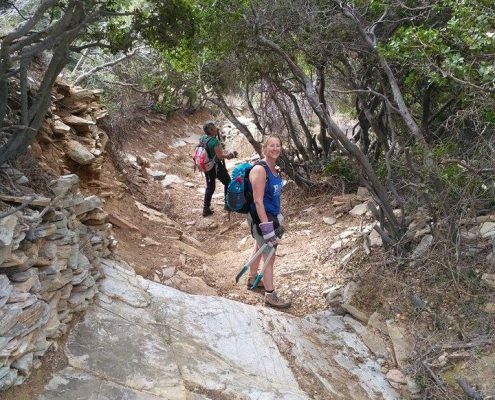 This section is one of the most problematic on the network. 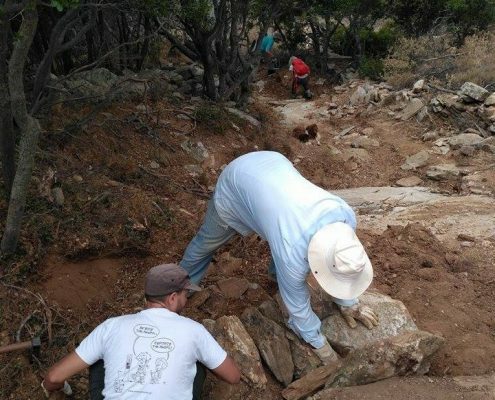 Lack of use, the construction of new roads that intersect the route in many places and rainwater erosion that degrades the surface in increasing amounts each year make for a maintenance challenge. 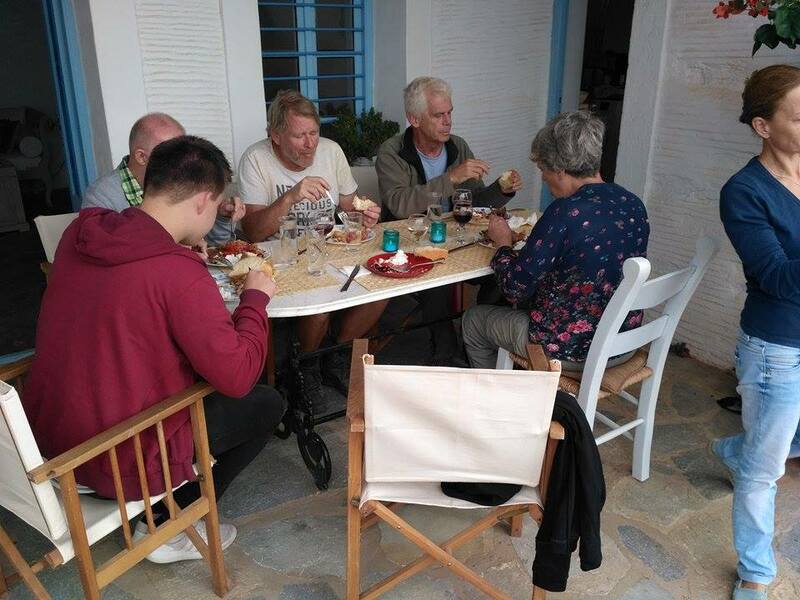 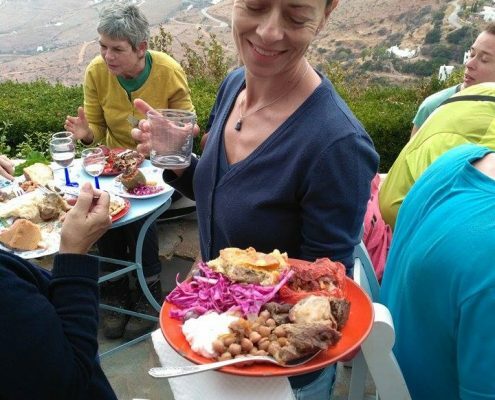 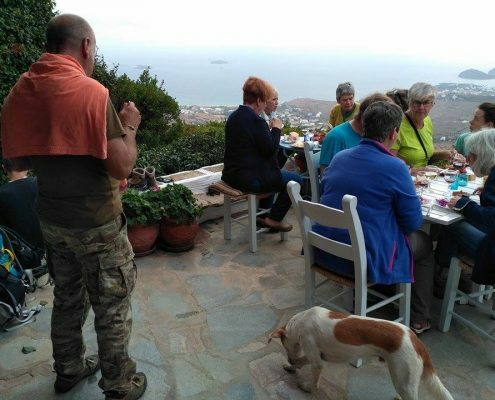 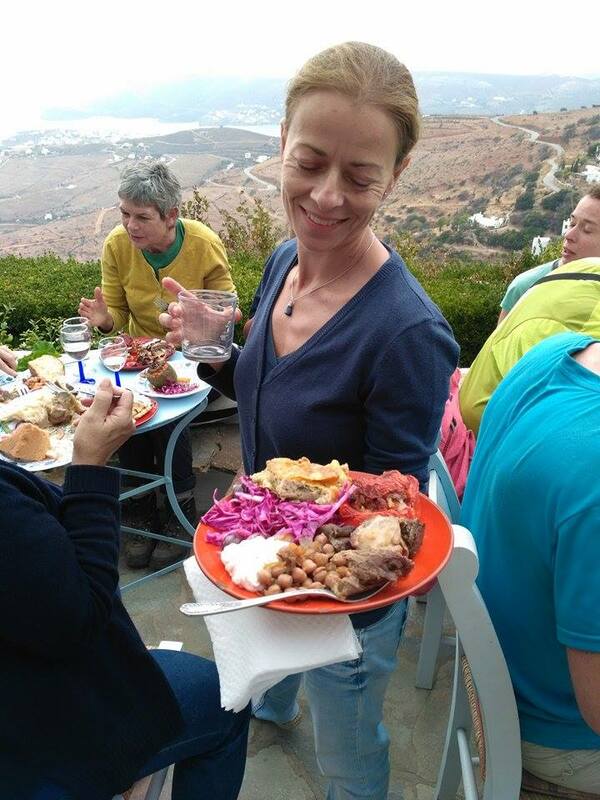 After several hours of hard work the group of volunteers enjoyed a delicious meal in the wonderful and welcoming home of Andros Routes supporter Rallous Coussi in Ano Agios Petros. 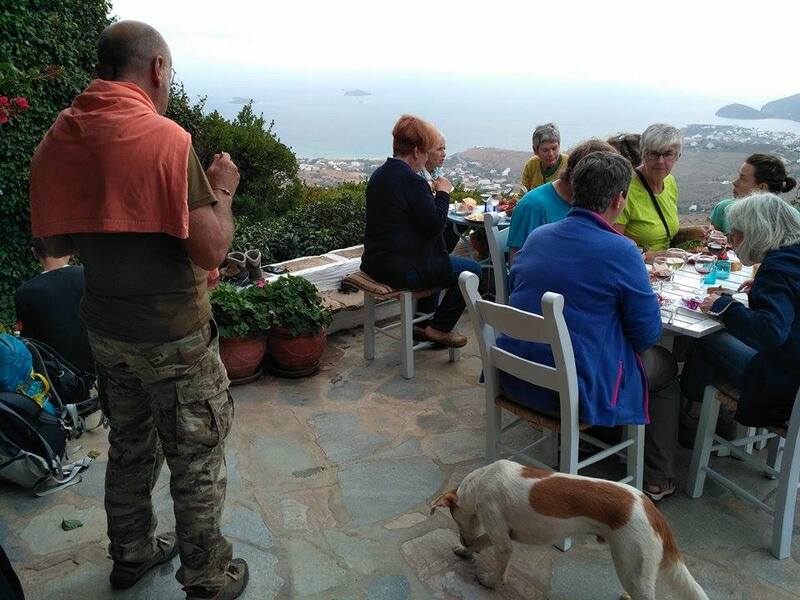 The meal was cooked by several of our wonderful supporters, Rallou Koussi, Ulli Stahlmann, Vasso Magnissali,Nikos Paraskevopoulos, Evangelia Bothou and Olga Karayiannis Local businesses kindly contributed food for us to cook. 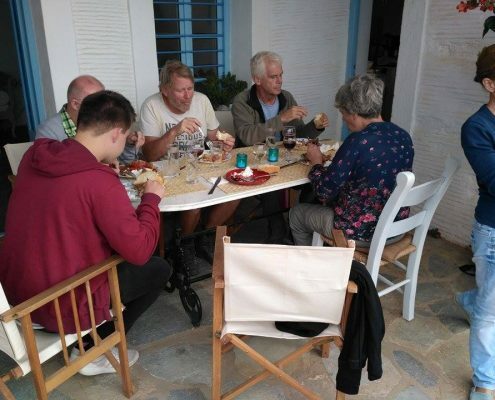 The local goat tasted by the volunteers was provided by the Tridimas butchers, salads, wine and local cheese were from the AB supermarket, of the Brettos family. 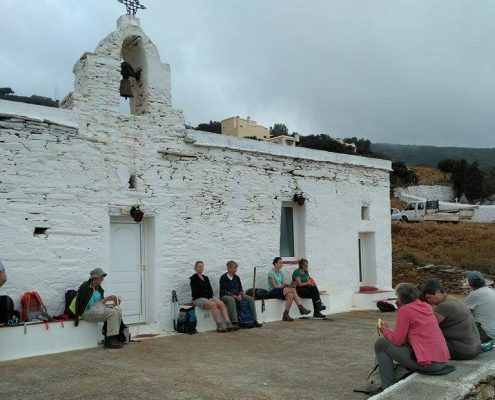 After the meal The volunteers went to the Rallous hagiography workshop and then walked on into the magnificent Agios Petros village and paid a visit to the Agios Petros Tower. After a coffee break at the Ostria hotel, the team moved on by bus to Chora where for the next 3 days they will be working on Routes in this area of Andros. 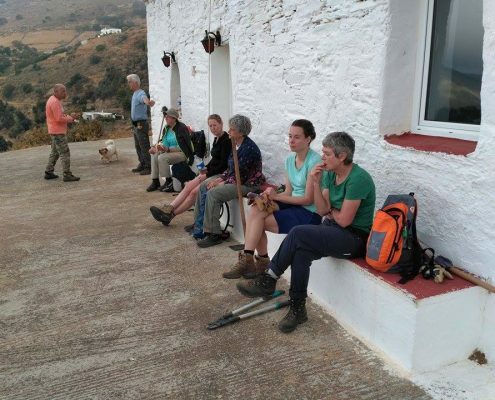 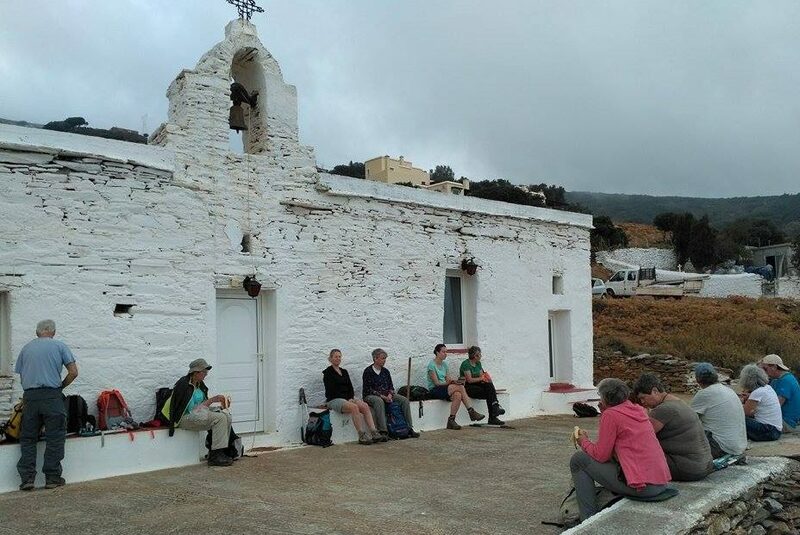 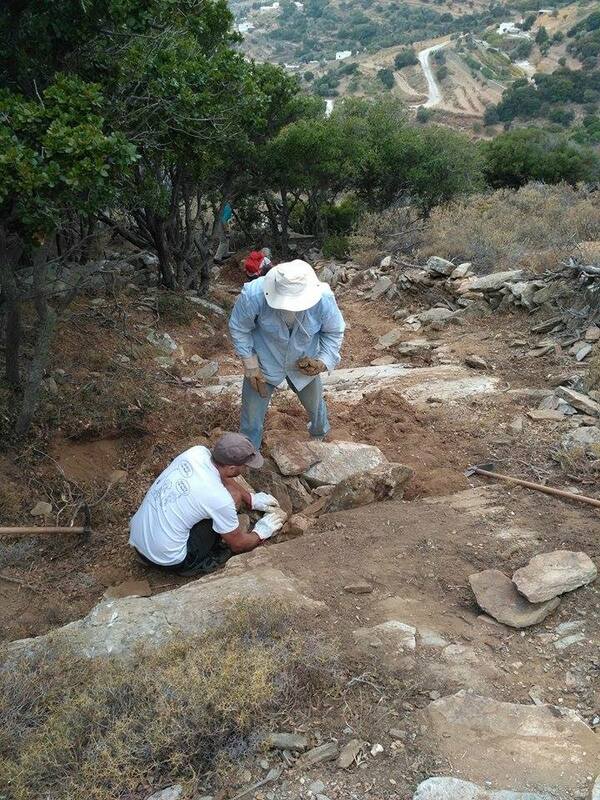 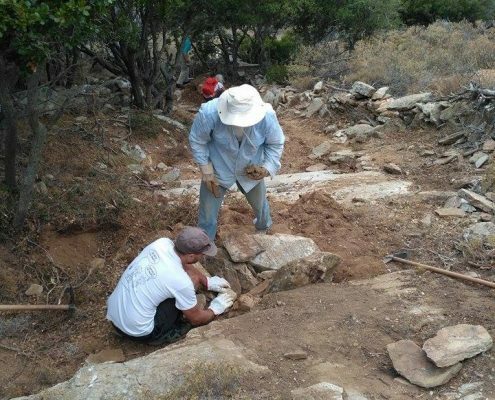 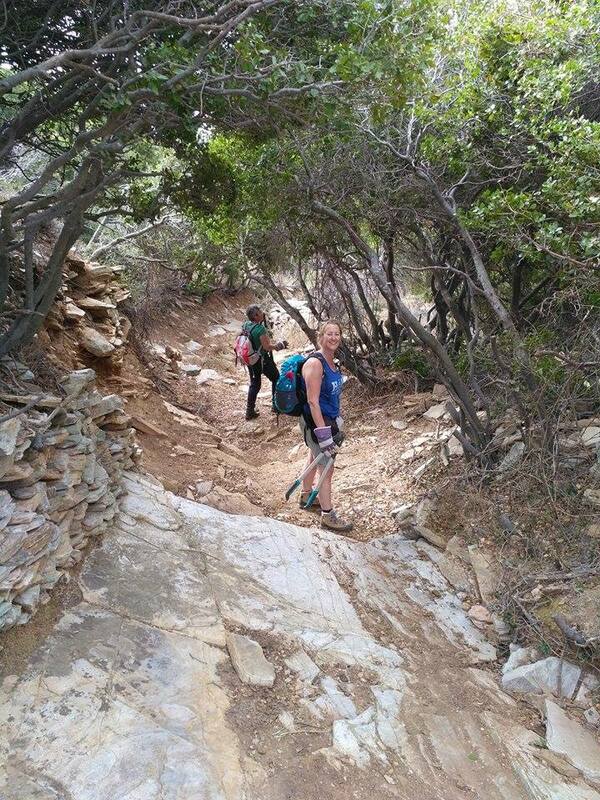 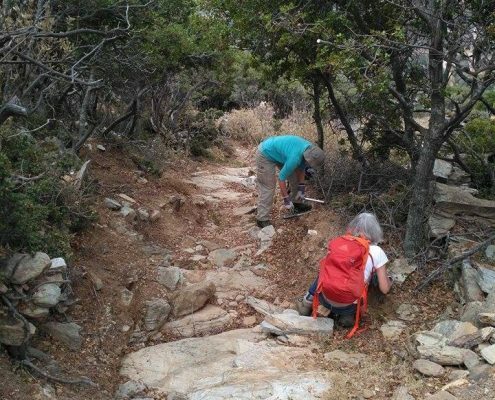 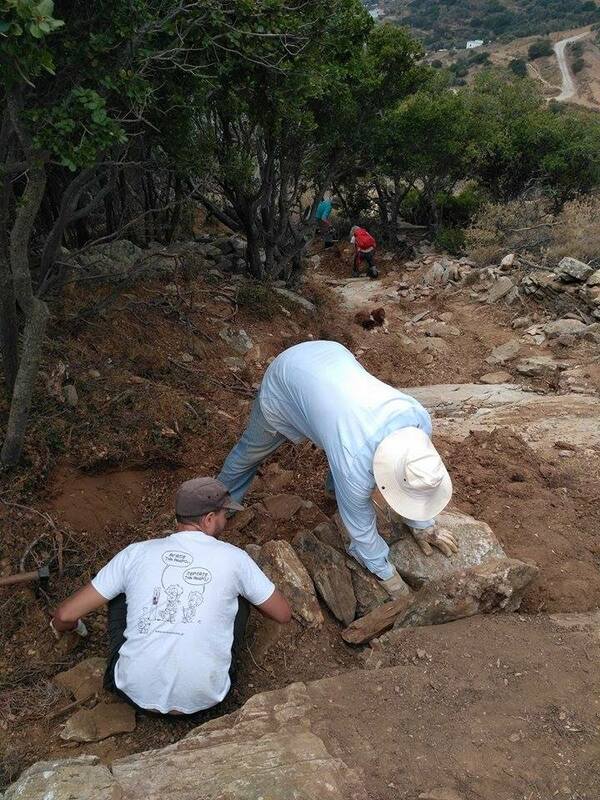 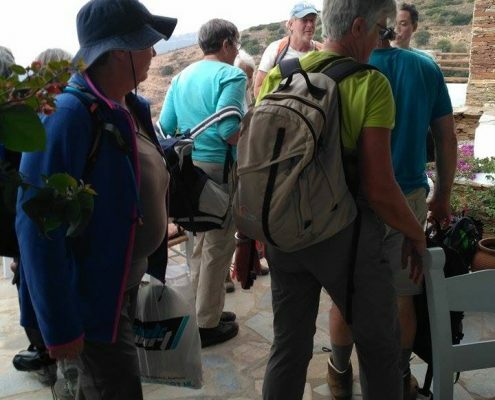 More Dutch volunteers on the paths of Andros…! 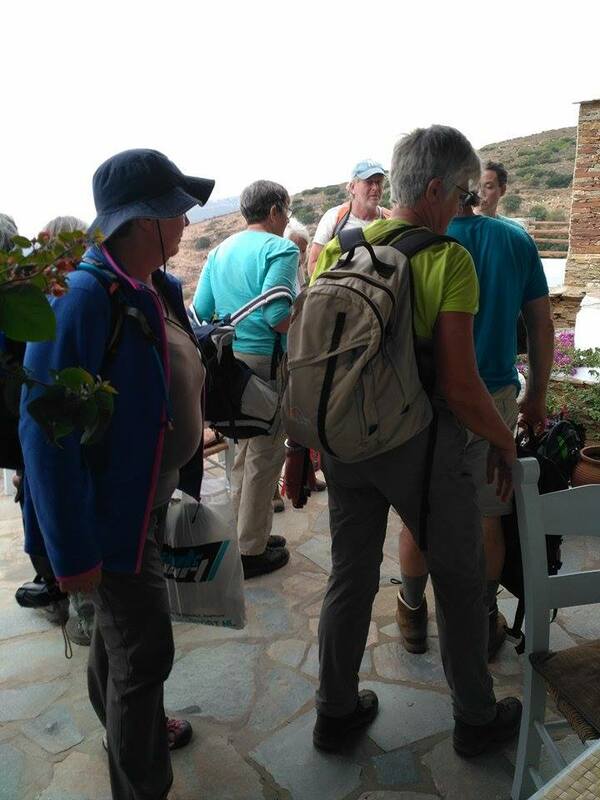 Day 3 – Our Dutch volunteers move onwards!